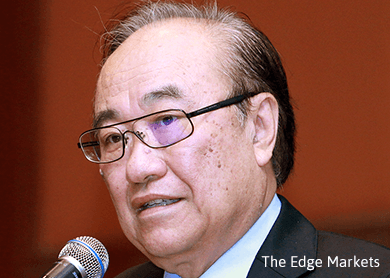 (Aug 18): A national consultative committee on political financing is expected to be set up in two weeks, said its chairman Datuk Paul Low, pending response from the relevant stakeholders to participate in the panel. He said they were in the midst of sending invitations to relevant people from political parties, civil society groups and academics. The minister in charge of governance and integrity said he was looking at between 15 and 20 people to be part of the committee. "It should be very soon, maybe two weeks, depending on how fast they respond. "It will consist of people representing society, across (the board), people who have a say in the transformation of political institutions," he said after attending the Open Government Partnership seminar in Kuala Lumpur today. Last Friday, Prime Minister Datuk Seri Najib Razak announced the formation of a national consultative committee on political financing, headed by Low, to develop a plan to ensure transparency and governance concerning party funds to ensure healthy politics. He said an action plan to cover political funding would be developed to cover institutional change, monitoring, new regulations and law enforcement. It will take about a year to draw it up and will be in use before the 14th general election, expected in 2018. Low told The Malaysian Insider on Saturday that the panel would be apolitical and include those with strong knowledge on the subject of political funding. He had said given the diversity of interests required in the committee, some sub-groups would be formed, adding that these could be made up of politicians from both sides of the divide, and their proposals would be taken up to the main consultative panel. The minister in the prime minister's department said today they are also considering feedback from overseas Malaysians as well, particularly those with a political science background. But he shot down the participation of electoral watchdog Bersih 2.0 in the committee due to their "diversity of views", without elaborating. News of the panel came amid debate over political funding practices in Malaysia which have no laws to regulate the amount of donations or disclosures of donor identities. Debate was triggered after the Malaysian Anti-Corruption Commission confirmed that the RM2.6 billion in Najib's personal accounts was a political donation from a Middle Eastern donor. Najib and other leaders of the ruling party Umno, which he heads, said there was nothing wrong with him as party president holding such funds in his personal accounts in trust for the party.